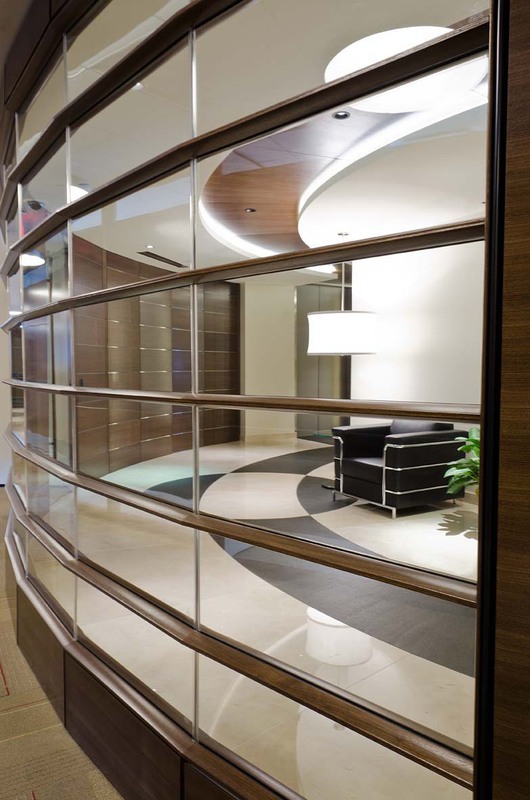 The project for the corporate offices of Quant Services, done by ART Arquitectos /ART a & id LLC, is located at the Williams Tower in the Gallerie area in Houston, Texas. 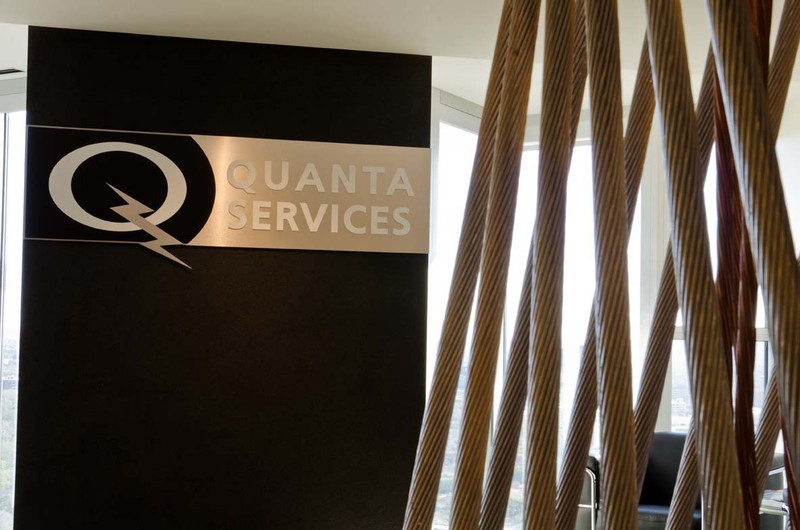 The corporate offices were divided in 4 different floors as the space needed for the companie was 9,000 sq m. On the 26 floor the reception and administrative services were located, on the 27 and 28 floors are operative and the 29 floor is for direction. 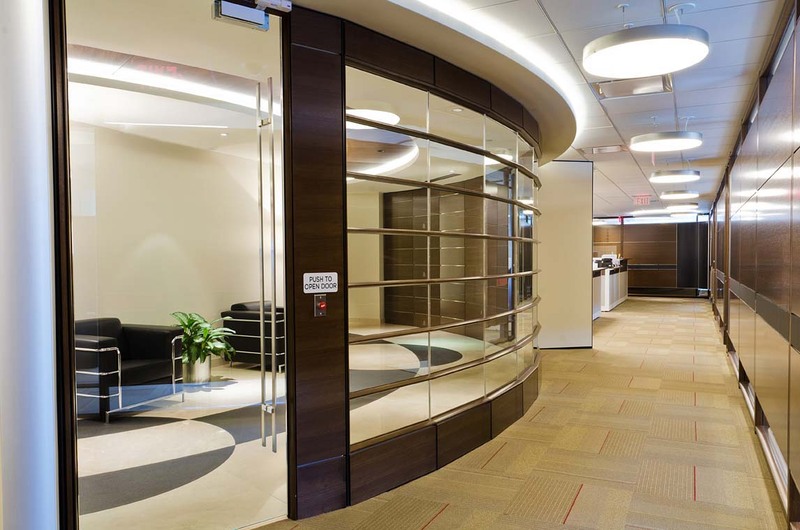 In the 4 levels the floors are used complete and the interior design includes the elevators area to create a full ambiance. 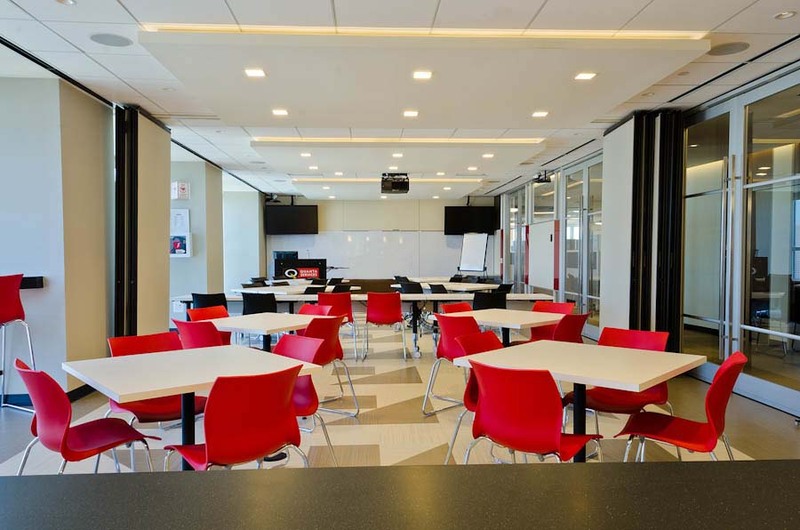 The floor plan is a perfect square, the elevators and services are located on the center and the rest of the space has panoramic views of Houston. 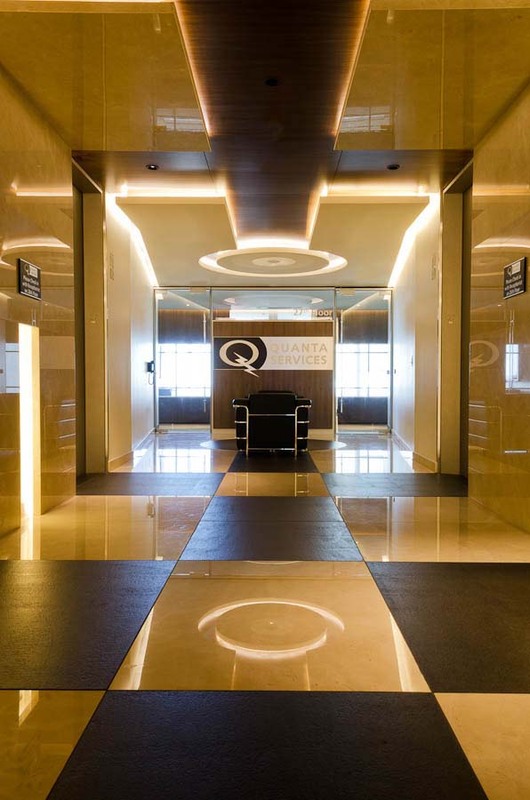 On the reception floor stands out a sculpture made of the raw material that characterizes the company that is integrated to the space by the design of the plafonds and the marble and granite corridors on the floors. 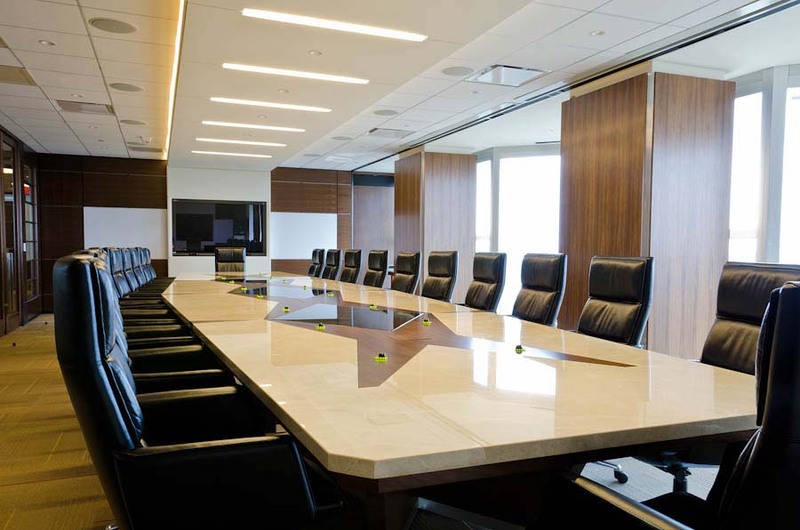 The program required by the client stated a traditional configuration of the workspace locating the private offices for managers, sub directors and directors in the perimeter taking advantage of the views and the operative and support areas in the center. 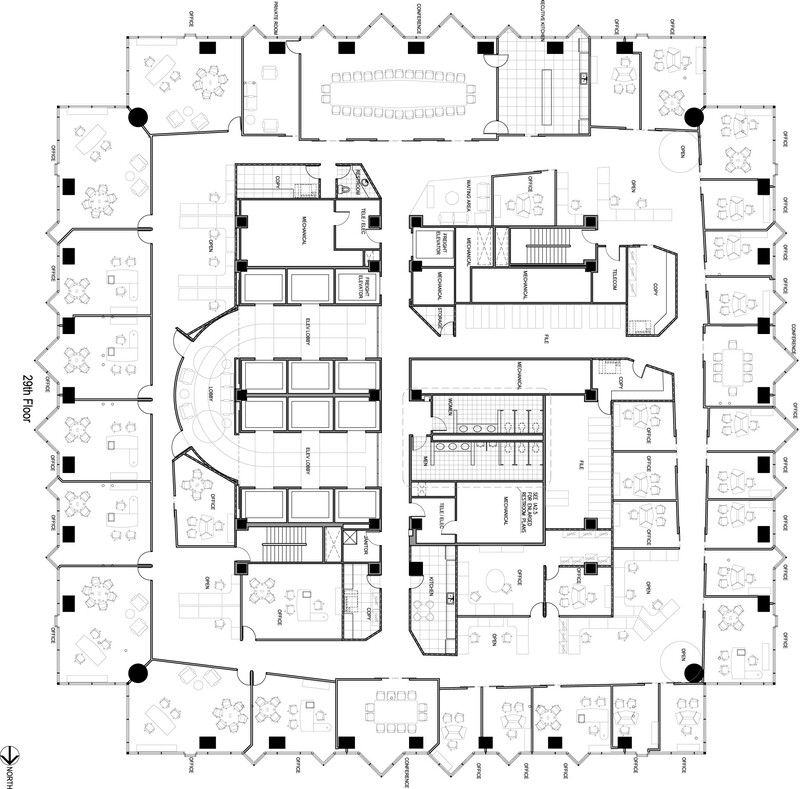 To avoid the rigidity and enclosure of the straight corridors the design was done with some inclinations that break the lineal perspective generating a more pleasant route. 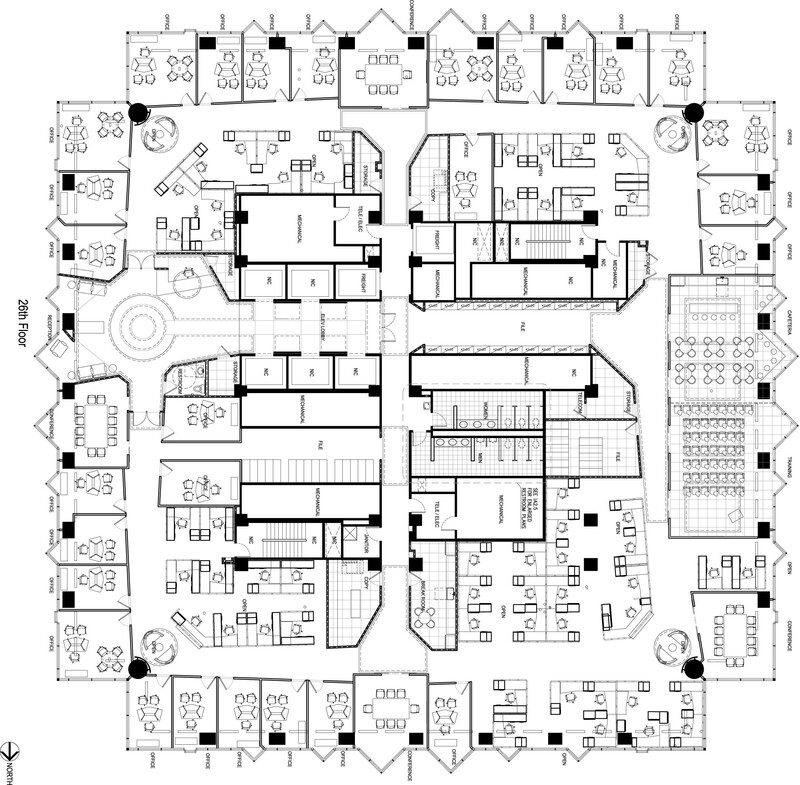 There are also two more perpendicular corridors that start in the elevators area and when intersecting with the other corridors create transition areas, like small plazas, where common services such as Break Rooms and Copy Centers for all the areas, were located. 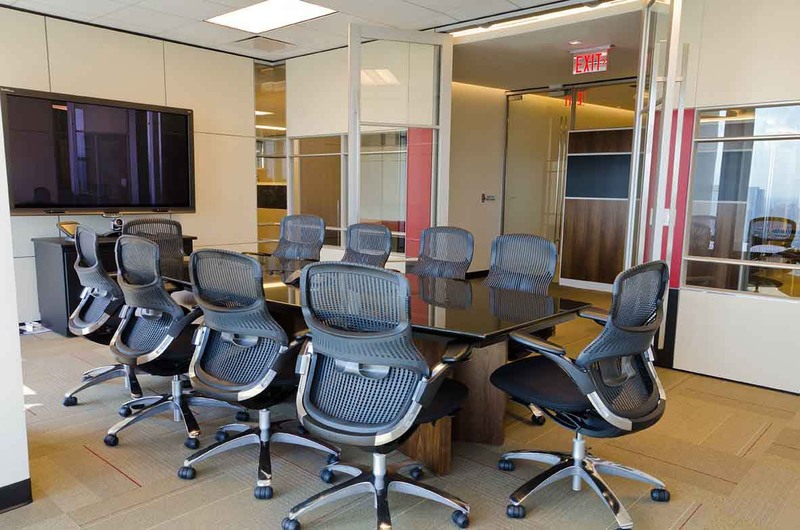 A mobile partition system was used to divide the space and it is very flexible for future changes and reconfigurations. 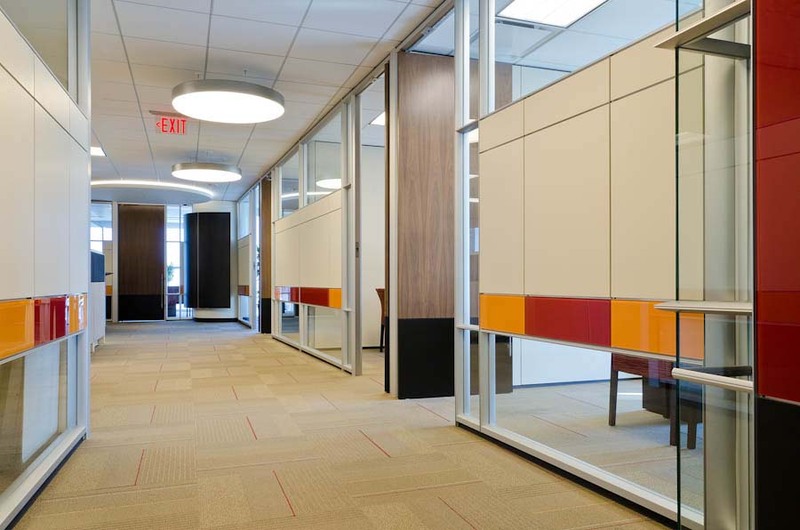 A very light and special design, incorporating the corporate colors: red and yellow, emphasizes the company’s identity. The modulation combines privacy and clear areas to allow the light through to the central areas. 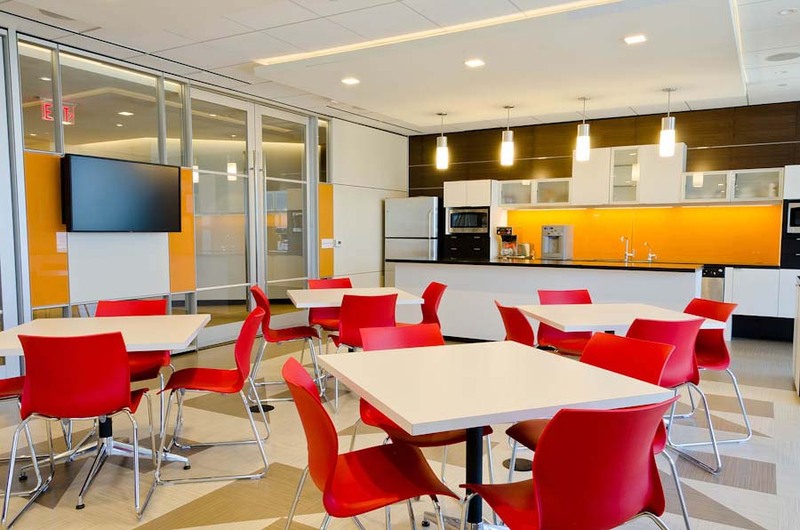 In the whole project neutral materials were used to emphasize the corporate colors accents. On the floors the carpet is dark beige. 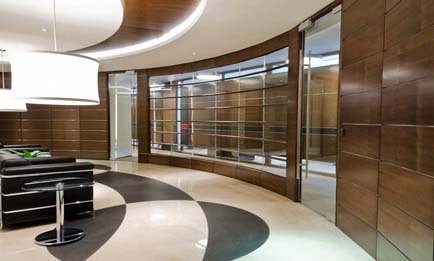 In the reception and elevators areas intense traffic materials were used, such as cream ivory marble and absolute black flamed granite rugs. 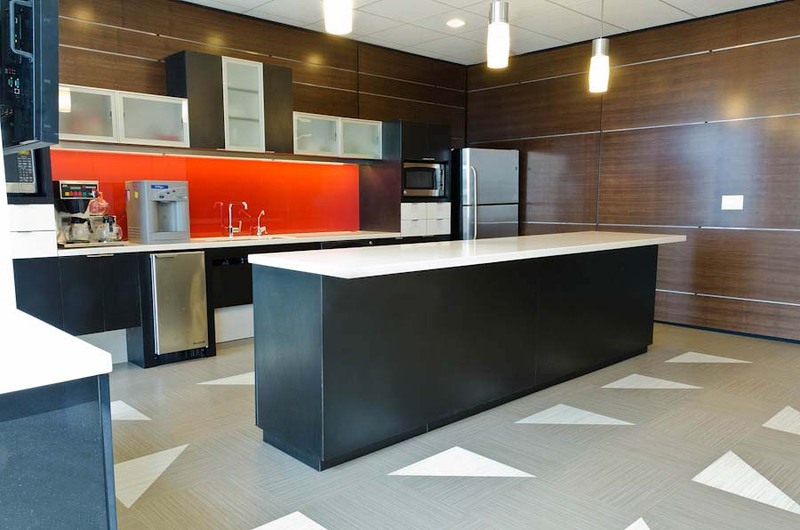 In the service areas vinyl flooring with dark shades applications was used.